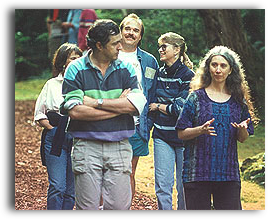 The Creative Systems Theory website is one of series presented by the Institute for Creative Development. ICD is a non-partisan think tank and center for advanced leadership training dedicated to clarifying and supporting the kind of understanding and leadership a vital future will require. This site supports the understanding, application, and continued development of Creative Systems Theory (CST), a comprehensive framework for making sense of change, purpose, and interrelationship in human systems that has particular pertinence to understanding the challenges that define our times. It had its origins forty years ago in the work of psychiatrist and futurist Charles M. Johnston, MD. Its ideas have been expanded and widely applied since that time through the work of the Institute. Hope and the Future: An Introduction to the Concept of Cultural Maturity (See www.HopeandtheFuture.com.) is a short book (135 pages) written for a general audience, It provides the best place to begin for those interested in the concept of Cultural Maturity. Cultural Maturity: a Guidebook for the Future (with an Introduction to the Ideas of Creative Systems Theory) is a more lengthy effort (630 pages) intended for those interested in an in-depth emersion in culturally mature perspective. Quick and Dirty Answers to the Biggest of Questions: Creative Systems Theory Explains What It Is All About (Really) (See www.creativesystems.org/icd-press/qdabq/.) (130 pages) describes how culturally mature perspective helps us address overarching questions that have always before left us baffled. In an effort to make the concept of Cultural Maturity as widely understood as possible, the Institute is making digital copies of Hope and the Future available free of charge. If you would like a complementary copy simple email Lyn at ICD Press (ICDPressLD@gmail.com) and let her know whether you would prefer it in pdf or e-pub format. If you belong to an organization who’s member might find the book of value, feel free to pass along information about this offer. We would like to support the broadest conversation possible. Creative Systems Theory (CST) provides a practical set of tools for making sense of change and the diverse and often contradictory ways that, through time and across our human differences, we have understood ourselves and our worlds. It’s vantage offers a dynamic perspective for addressing the life of human systems at all scales—the individual, personal relationships, organizations, communities, nations, and the human story more broadly. Of particular importance for our time, CST presents an overarching vantage for making sense of the changes and challenges that today reorder the human endeavor. It articulates a broad guiding “story” for our time, a way of understanding today’s defining challenges that gets beyond battling ideologies and provides hope—what it calls Cultural Maturity. It also brings important sophistication to addressing key future questions from across realms of inquiry—government, education, business, health care, science, religion, and the arts. And it provides critical perspective for avoiding traps in our thinking as we look to the future. In a more limited sense, it is applicable also to questions beyond the human, at least to why at difference times and places we have understood the physical, the biological, and existence more broadly in the particular ways that we have. ways they appear to be and what more we must see if humanity’s future is to be healthy and vital. CST’s most obvious significance lies with practical application, but in the end its importance has as much or more to do with the kind of thinking it represents. CST proposes that our times are requiring not just new ideas, but fundamentally new kinds of understanding. It notes how traditional cultural guideposts, from gender roles to unswerving national allegiances are serving us less and less well. And it describes how familiar ways of thinking—political, religious, scientific—more and more fall short as ultimate answers. CST argues for the importance of bringing a creativity, maturity, and systemic fullness to understanding that has not before been necessary or possible. And it presents one comprehensive and detailed approach for doing so. This website works as an introduction to CST for those new to its contribution. It also presents an educational experience for those wanting to apply Creative Systems ideas. And it serves as a home base for the continued development of the theory. Conceptual Overview: The Overview section examines CST’s basic approach and the implications of the theory for how we understand. It also looks briefly at the origins and history of Creative Systems understanding. A Creative Frame: Here we look at the specifically creative systemic perspective that forms the basis for Creative Systems ideas. We also look at the general kinds of “patterning concepts” that the concept delineates. Patterning in Time: The Patterning in Time section looks at CST as a framework for understanding change in human systems (individual development, how relationships evolve, organizational change, cultural evolution, and more). Whole System Patterning Concepts: Whole System Patterning concepts address what truth at its most basic becomes when we no longer have cultural rules in the traditional sense to guide us. Patterning in Space: Here we look at CST as a framework for understanding here-and-now complexity in human systems. CST Patterning in Space concepts addresses diversity and systemic interrelationships (the diverse parts of ourselves, differences and interactions between individuals, the complex internal workings and interactional dynamics of larger systems). Cultural Maturity: This section examines the concept of Cultural Maturity with special attention to changes it implies in the values we hold, in how we relate, and, most specifically, in how we think. It also looks at how Cultural Maturity’s changes (at least their potential) are predicted by CST and how CST can help us bring detail and sophistication to our understanding of what they will demand of us. Compare and Contrast: This section compares and contrasts the ideas of CST with other formulations. It makes comparison to other frameworks for understanding the future, other systems perspectives, other ways of understanding history and cultural evolution, other philosophical/epistomological frames, and other models for understanding diversity and temperament. It also examines various kind of conceptual traps—ways our thinking can go astray as we look to the future. The Evolution of Understanding: Here we use CST Patterning in Time and Patterning in Space concept to map the history of human thought from our tribal origins to the present. Hands-on Approaches: Hands-on approaches often provide the most direct route to culturally mature perspective. They also offer ways to directly apply CST patterning concepts. Cognitive Rewiring: One of the most direct was of understanding the importance and possibility of the kind of systemic perspective CST represents turns to the cognitive changes that produce culturally mature understanding. Such examination also provides a particularly concrete way to separate such perspective from other kinds of thought we might confuse it with. Big Picture Questions: Here we look at one of CST’s most intriguing contributions as the level of overarching conception. CST argues that the reason answers to many eternal questions have eluded us is that Culturally Maturity understanding is needed to frame the questions in answerable ways. We look at how CST’s creative perspective can help us address a wide variety of eternal quandaries. 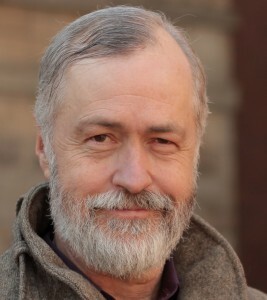 Education Videos: Charles Johnston is in the process of putting together a new video series that addresses some of the more important implications of culturally mature perspective and leadership and also aspects of Creative Systems Theory that have particular direct implications for our time. Patterning Concept Applications: This section addresses how CST patterning concets can be applied to systems of various scales—individuals, organizations, and various domains of culture (science, business, government, health care dcuation, art, and religion). Purpose Centered Psychotherapy: Here we look at the application of CST to psychology and psychotherapy. Further Reflections: This section includes additional reflections that don’t fit in other sections along with extended historical pieces. Research: Here we look at where future research might add to CST in particularly significant ways. FAQ: The FAQ section addresses questions commonly asked by those learning about CST—of both beginning and more advanced sorts. Glossary: The Glossary section defines and briefly explains CST terms and concepts. Resources: The Resources section describes other pertinent written, on-line, and person-to-person learning resources. Copyright 2013 - Creative Systems Theory. All rights reserved.